The Mortal Kombat series did a fantastic job of one-upping itself back in the retro era. While Shang Tsung was a formidable foe in the original, Midway completely topped itself with the addition of Shao Kahn in Mortal Kombat II; someone who would wipe the floor with the original big bad. He's been a memorable villain ever since, and now you can enjoy him in statue form from Pop Culture Shock -- so long as you can get past the sticker shock. As a 1:3 scale statue it's 35 inches tall, but there's a lot of caveats. It's limited to 300 units, and will run you $1499.99. There's even a payment plan -- yikes! 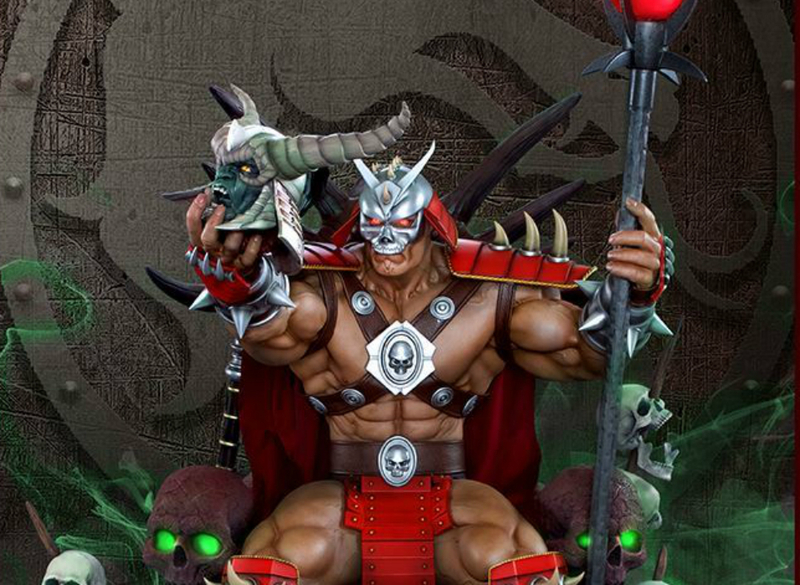 As an aside, 100 of the 300 are "EX" models, which include LEDs, and swappable Shao Kahn/Onaga heads. Pre-orders have started already, and the statue is expected to arrive between June 2019 and August 2019.